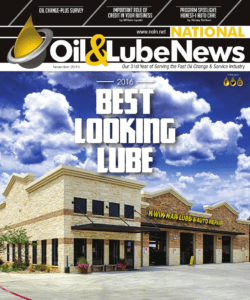 Kwik Kar Marsh wins Best Lube Center by National Oil and Lube News. Unfortunately, people are far too familiar with the feeling they get when they visit a dirty, outdated, congested auto repair shop. Even the best hand sanitizer cannot cleanse the mind. That’s why the industry’s leading publication, National Oil and Lube News searches the country each year to find and rank the best looking lube centers, because in the automotive industry, great service is not the only thing customers look for. National Oil and Lube News has a panel of judges that ranks fast lube centers around the country in four key categories that both women and men appreciate. The exterior building of the shop, the surrounding landscape, the automotive shop bays and the customer waiting area are all ranked individually to produce winners in each category as well as crown the overall winner as The Best Looking Lube Center in the country in 2016. The first place title and the nation’s Best Looking Lube Center in 2016 was Kwik Kar Marsh, a beautiful oil change and auto repair shop that serves customers in Addison, Carrollton, Farmers Branch, Plano and Dallas. The full results of the contest were published in the November 2016 issue of the National Oil & Lube News magazine. As if the honor of being named the overall winner of the Best Looking Lube Center wasn’t enough, Kwik Kar Marsh also took home first place in the category of Best Waiting Room. National Oil & Lube News published the results of the best lube center along with beautiful pictures in its November 2016 issue. You can also view the results at NOLN.net. Owners Corrine Hudson and Ryan Mendez and the team at Kwik Kar Marsh would like to extend a special thank you to its wonderful customers as well as the staff at National Oil and Lube News. 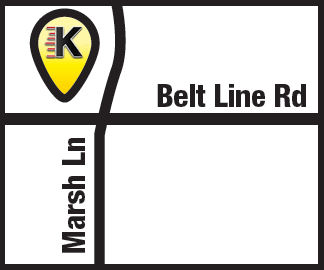 For the best Oil Change in Carrollton or Auto Repair in Addison come experience the difference at Kwik Kar Marsh located at 1049 Marsh Ln at Beltline Rd. So happy for you all. I always get my oil changed there and will continue coming back!